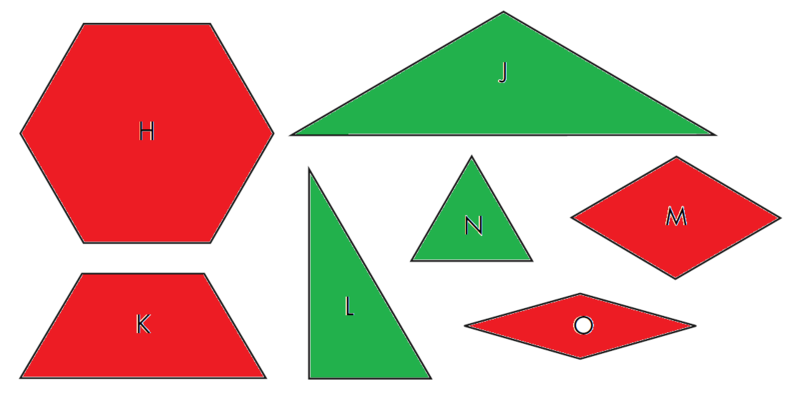 Two 4th Grade girls were playing “Guess My Rule.” All the green shapes fit Molly’s rule, all the red ones were excluded by her rule. Christi was trying to figure out the rule. Christi: Oh, I’ve got it! They’re all triangles. Christi: But, look, it’s true! They’ve all got three sides. Molly: They all have three sides, but they’re not all triangles. 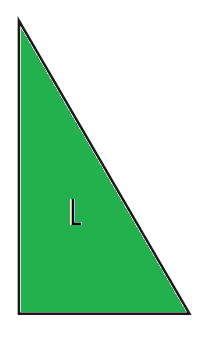 Molly: Yeah, L has three sides, but it’s not a triangle. Why not? What makes this seem untriangley to Molly? "Perimeter is the space outside of a shape."